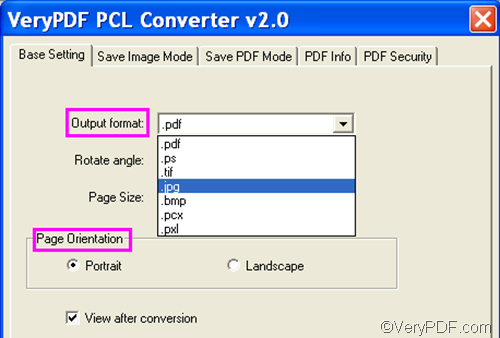 ← How to convert PCL to TIF and set page orientation? First, please run VeryPDF PCL Converter. You can double click the icon of this product to run the GUI application. Drag the PCL files from Windows Explorer, and drop the files to the list box on the interface. Click Add File(s), select the PCL files in the pop-up dialog box, and click Open. Then the file names, paths, types, etc. will be displayed on the interface. And you can proceed to the next step. Click .jpg in the list of the Output format combo box. Click the radio box before Portrait or the radio box before Landscape in the Page Orientation group to set page orientation. Click OK in the dialog box, and proceed to the next step. Fourth, click Start on the main interface, the Browse for Folder dialog box will appear on the desktop. Choose a folder in the dialog box for putting the result JPG files, and click OK. The computer will soon convert PCL to JPG and set page orientation as you wish. 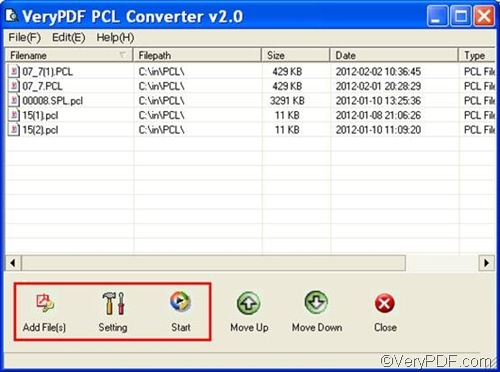 VeryPDF PCL Converter is the most quick and accurate tool I have used for converting PCL to JPG. I hope it can also quickly help you solve your problems. This entry was posted in VeryPDF Blog and tagged pcl to jpg, set page orientation. Bookmark the permalink.